You are here: Tawhai School › Information › News › Latest news › DOMINO’S PIZZA FUNDRAISER FOR SENIOR’S CAMP! DOMINO’S PIZZA FUNDRAISER FOR SENIOR’S CAMP! On WEDNESDAY 27th MARCH make dinner easy and buy some pizza. 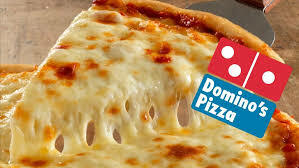 $1 from every pizza sold at STOKES VALLEY DOMINO’S between 5pm-7pm will go towards our seniors camp.